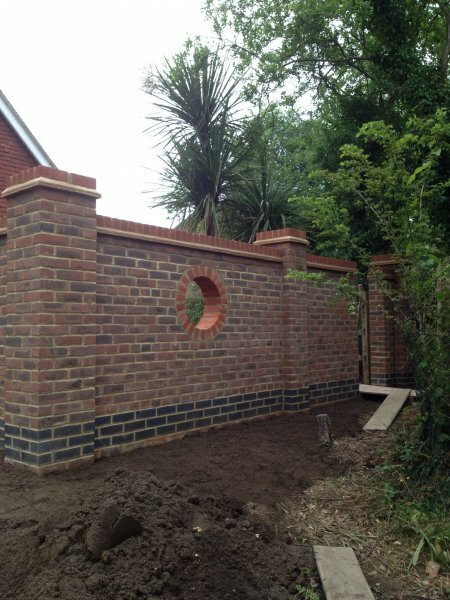 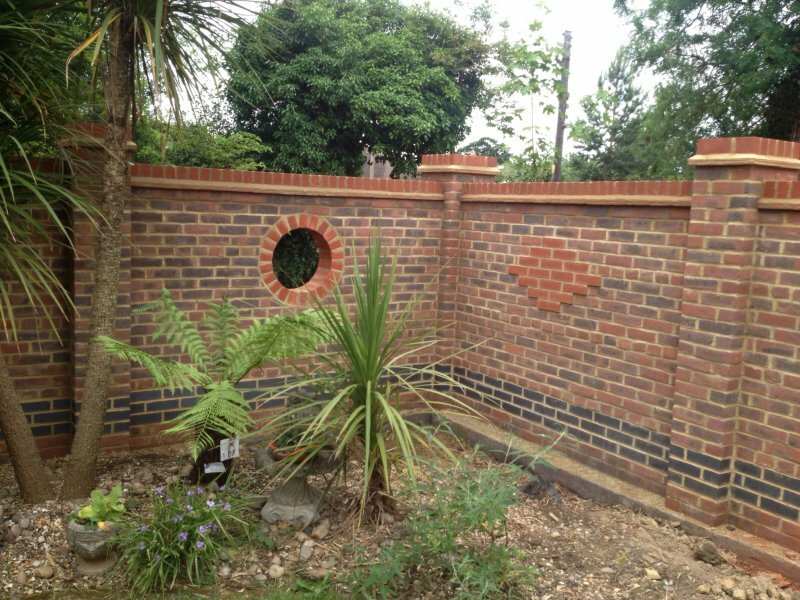 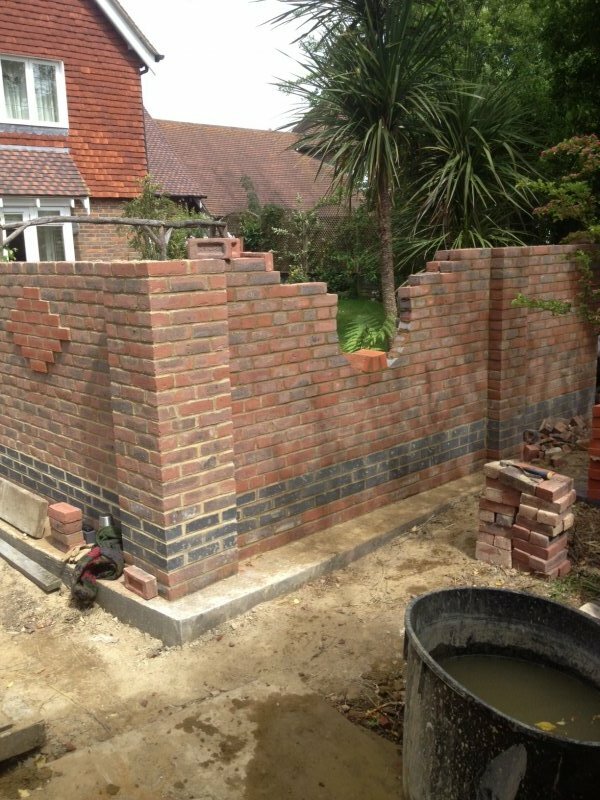 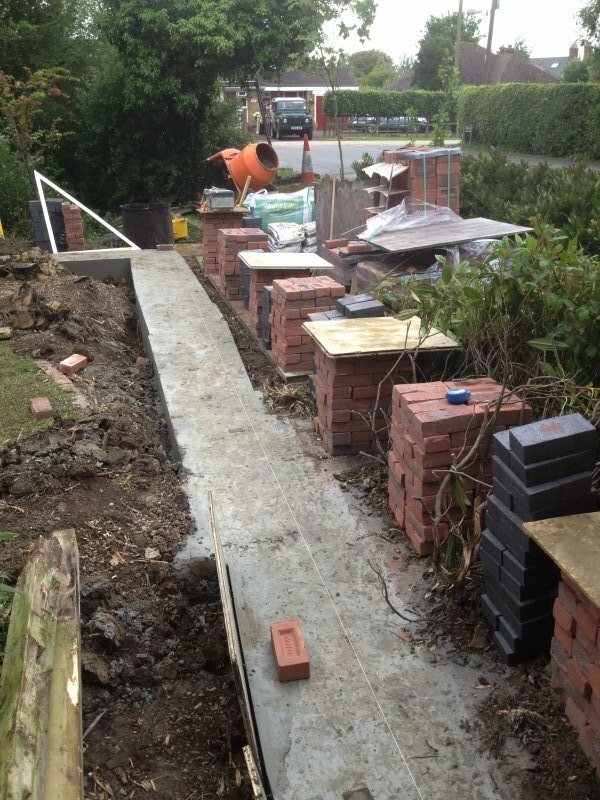 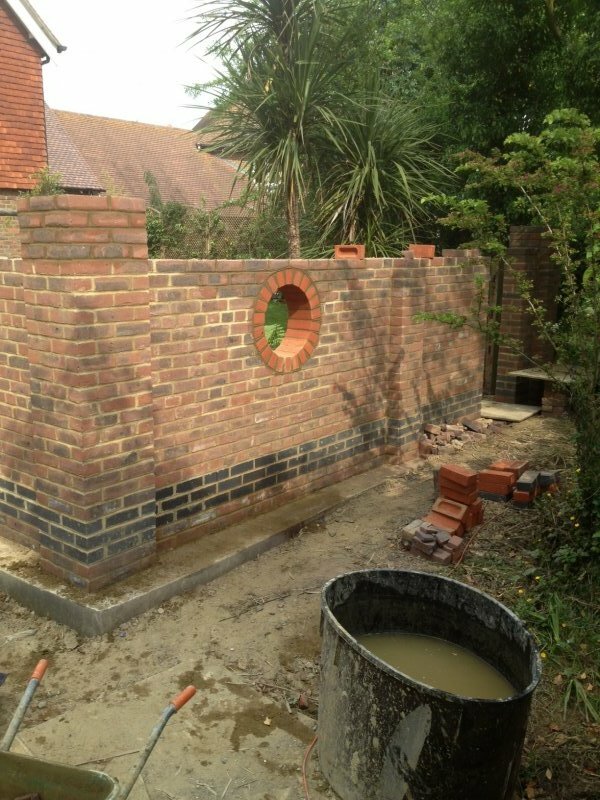 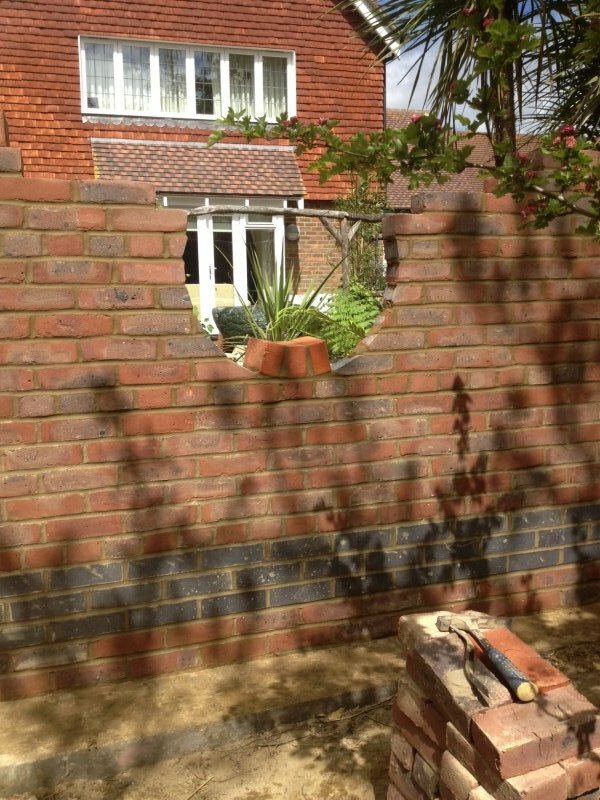 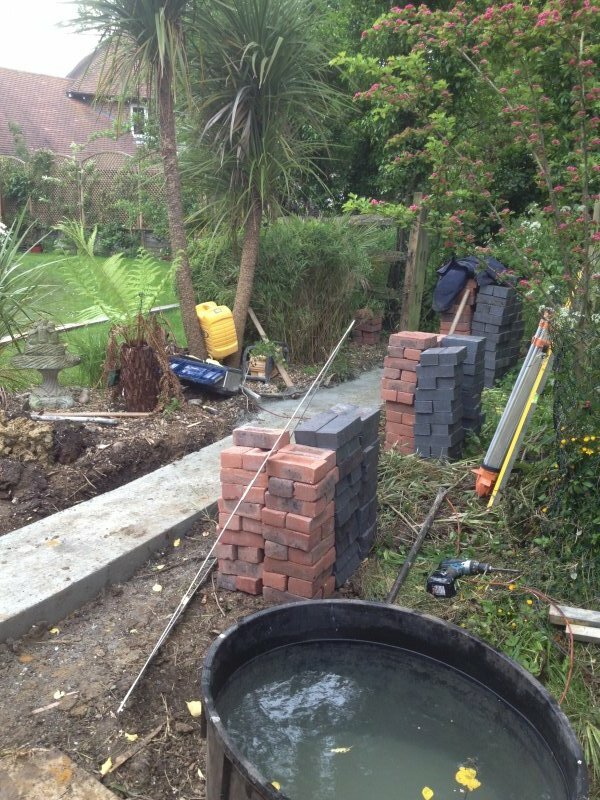 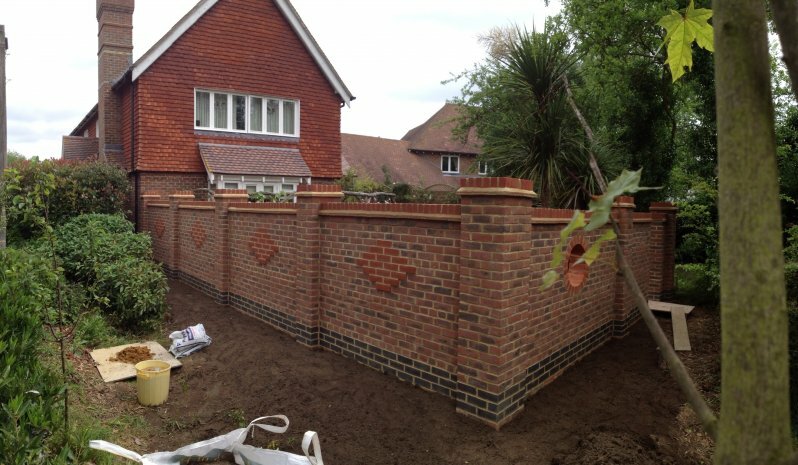 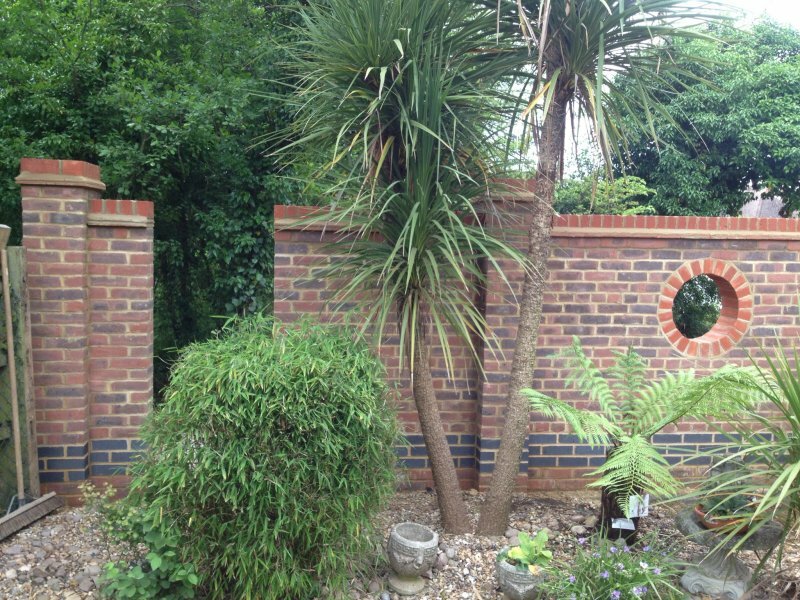 Construction of new garden boundary wall with brick piers centered at 2.1 meters for added strength. 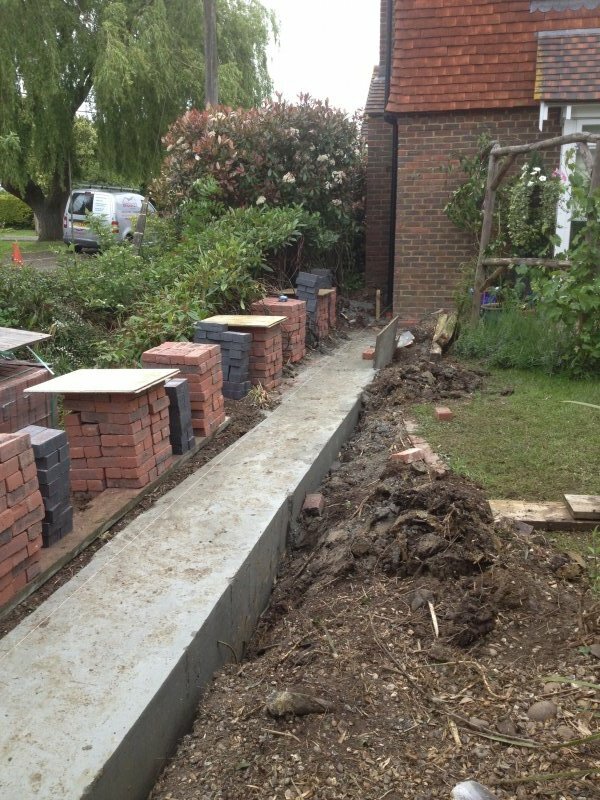 Foundations ready, we excavated the sub-soil to form a new foundation 600mm in width and 1000mm depth with 20mm reinforced steel bar form work to prevent surrounding trees roots penetrating and undermining wall foundations. 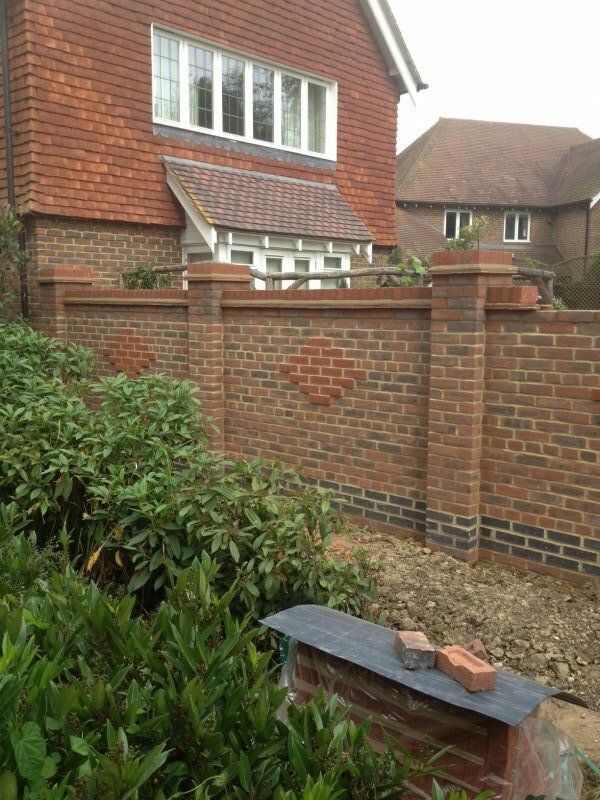 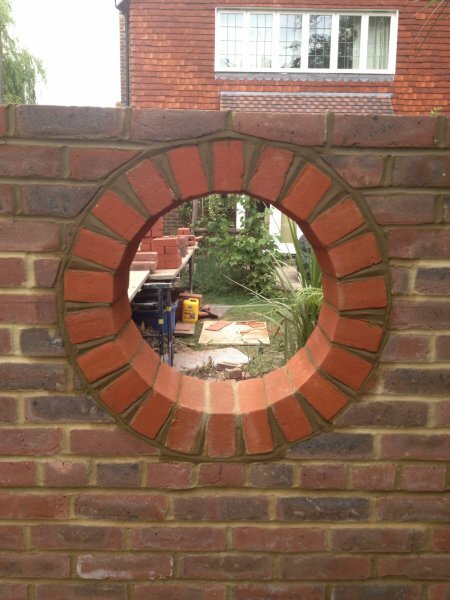 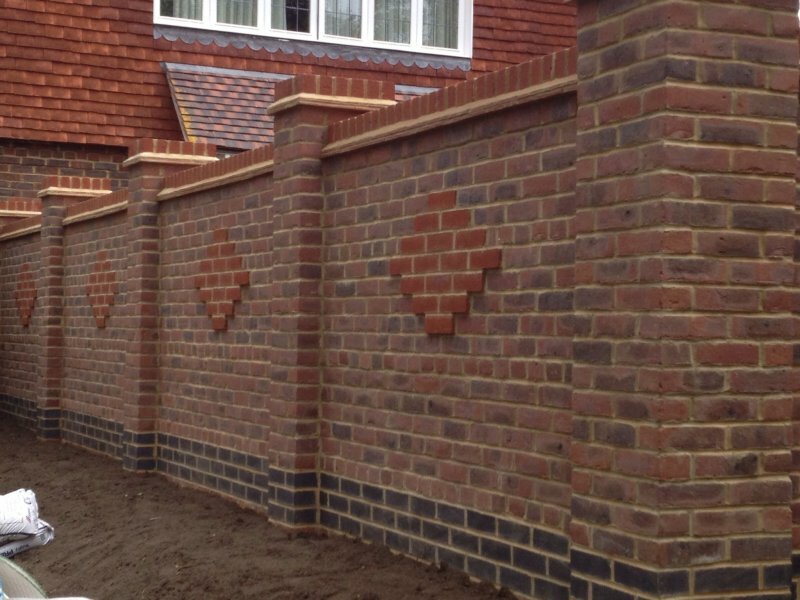 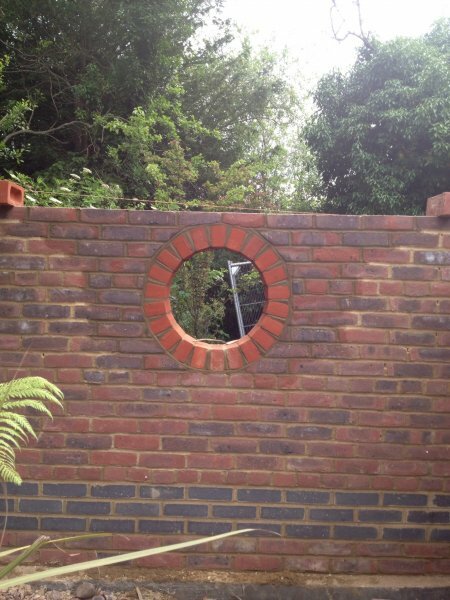 Brick features include diamond patterning ,bullseye opening and a access gate to the side.